The Cubetto wall hung compact basin package, this pack consists of a wall hung basin, tap, waste and square bottle trap. Features a stylish contemporary square shape, designed to be wall mounted. This space saving basin is perfect for cloakrooms. 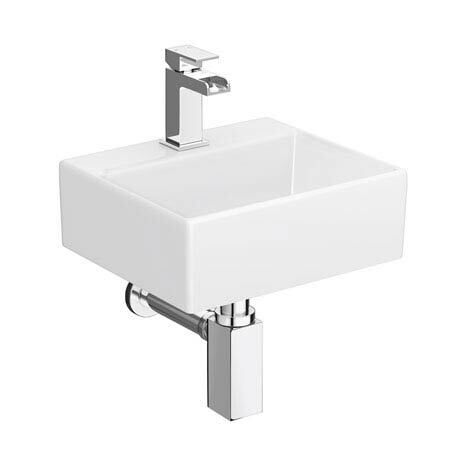 Basin had been manufactured from ceramic with a quality white gloss finish.